The Property Lab Crows Nest was established by committed real estate pioneers who intimately understand the property business. Our combined years of experience have been brought together to form an agency that has the highest standards of service for our vendors, purchasers, landlords and tenants. With innovative ideas, we aim to improve the real estate consumer’s experience when it comes to buying, renting, selling or property management. 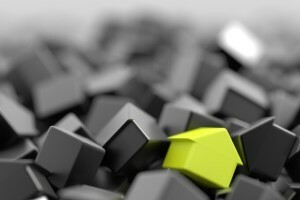 At the Property Lab, we work for you to maximise your potential, regardless of the transaction. If you are seeking an agent to fulfil an active, engaged and informed role, while demonstrating a tangible sense of passion, sensitivity and experience, you will find that these are the hallmarks of the team at The Property Lab. Operated from a central office in Crows Nest we are located at the hub of Sydney's bustling property market. If you are looking for an agency that will ensure you a top level of both commitment and service then you cannot go past The Property Lab Crows Nest. We are your boutique real estate agency providing the service you deserve with regard to your biggest investments. Contact us today to experience the results you deserve.